Very pretty - looks like little lights on it! lovely and great pond too!! Wow thats a good price :)) waht is it? 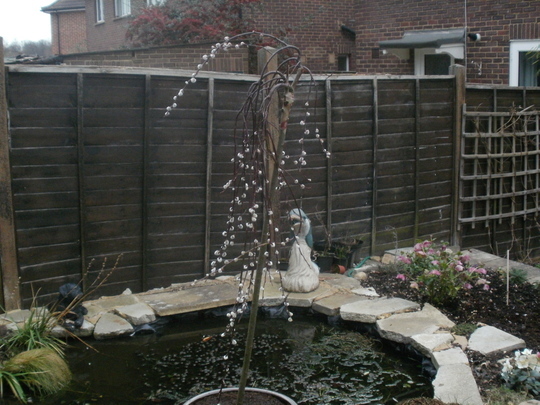 Love the pond area and that willow looks perfect for here. Very good price for one this big. Very nice! Not Tescos (!) but the plant certainly. Bargain. See who else is growing Salix caprea 'Kilmarnock'. See who else has plants in genus Salix.